Louis Vuitton: Art of Automobile Excellent Marketplace listings for "Louis Vuitton: Art of Automobile" by Bellu starting as low as $25.66! 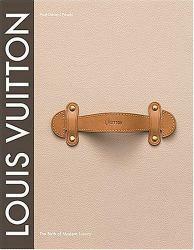 by Harry N. Abrams, Inc.
Louis Vuitton: Birth of Modern Luxury Excellent Marketplace listings for "Louis Vuitton: Birth of Modern Luxury" by Paul Pasols starting as low as $87.47! by Harry N. Abrams, Inc.